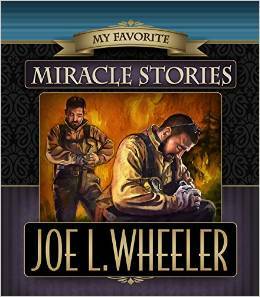 The second book in Joe L. Wheeler s Favorite Stories collection. In the house all was dark and quiet almost. For there was pale-blue light in the kitchen, with the gentle rustle of a boiling liquid. The light came from a gas burner whose flame was turned down low, the sound from the coffeepot, whose contents were simmering away. But there was no one around to see the soft blue glow or hear the murmuring sound from the coffeepot. Only Ralph was in the house, and he was asleep upstairs. . . . Now the gentle sound gave way to a hiss, and then a sputter. In a few seconds, this stopped and the pale-blue light went out. Then the only sound was a soft whisper as the gas sighed its way past the lips of the gas jets and escaped into the freedom of the kitchen. . . . Slowly and gently the deadly vapor filled the kitchen, rolled into the dining room, and then silently climbed the stairs and sidled into the room where Ralph lay sleeping. . . . As Ralph s wristwatch and his heartbeats steadily ticked off the moments of life, . . . while the gas jets in the kitchen without hurry and without cessation insistently released their death-bringing fumes into the air. . . . And then God spoke. You d better wake up, Ralph! Is there a difference between miracle stories and coincidence stories? Well, there certainly ought to be a difference. I have come to this conclusion: if there is no clear indication of divine intervention in a given story, I see no valid reason to consider it spiritually miraculous.